Latin America seemed to have entered a new era over the last decade. Politics across the region shifted to a left-ish line, with a new promise for those left behind in the road towards development. Or at least it seemed to. Hugo Chavez in Venezuela, Lula da Silva followed by Dilma Roussef in Brazil, Ollanta Humala in Peru, all helped in building the long hoped desire of change. Or did they? It was under the “speeches of change”, or “tackling down imperialism, getting back to the lands and recover what is from the people” that they lost track and started bringing change into their own lives with the money they collected from the taxpayers they had promised so much to. Corruption is common in Latin America, and will probably be for more years to come, and although the past decade will be remembered as the one where the political direction of the region changed, it will also be remembered as the decade where one single company sent more than one President in Latin America to jail for one common reason: corruption. June, 2015. Brazilian police arrest Marcelo Odebrecht, one of the most powerful businessmen in Brazil. Odebrecht is – and will soon stop being – the largest construction company in Latin America, with 168,000 employees and offices in 28 countries. Pressure on the company grew. There were already several prohibitions for Odebrecht to submit proposals for public tenders, plus proof found by ongoing research: a forgotten secretary’s folder that listed all the politicians that had been previously bribed by the company to win public tenders. That was their business – bribing. In exchange of receiving a smaller sentence (from 19 to 10 years), Marcelo Odebrecht agreed to tell the story. He told of all the people he and his company had bribed to keep the company in the position it is or was. Another 77 employees, appointed for a trial and accused of corruption, followed. Their way of working was simple: they made agreements with government officials for them to accept their tenders in exchange of money the company would receive for the tender, plus an amount that was given to the government official that had helped them. This was all government money. And so, one by one, politicians in almost every single country in Latin America were starting to fall. Brazil. It seems like yesterday when Lula da Silva, former Brazilian President, was strongly denying the accusations against him, calling them “fake media accusations” to the national press and stating that “his future plans do not include prison”. Odebrecht, however, declared that Lula had received US$ 4.15 million between 2012 and 2013, and that several payments were made for the Instituto Lula’s new headquarters. Moreover, prosecutors carrying out his case stated that da Silva supervised a scheme in which Odebrecht paid US$ 22.18 million in bribes to win eight contracts for the state-owned oil company, Petrobras. A week ago, da Silva was condemned to 9 years in jail due to an apartment he received as a bribe in exchange for three contracts signed by Odebrecht. Nevertheless, street signs read “Lula is innocent” and “Lula for President” showing that he might be guilty for the justice system, but he is most definite innocent for the people – some at least. Odebrecht also stated that he made illegal donations to Dilma Rouseff’s company of around US$ 16 million for her electoral campaign back in 2010. Rouseff, always protected by da Silva’s political arm, has denied the accusations more than once, claiming the donations to her campaign were all legal. She faces now a political trial, after being impeached from her position as President last year – although not related with the accusations. It was not until April this year when all of Odebrecht’s accusations brought turmoil into Michel Temer’s, President of Brazil, government. Temer himself is accused of being head of one of Odebrecht’s corruption webs; nevertheless, since the Brazilian current President can’t be accounted for his or her past according to the law, he is not being investigated as for now. Peru. US$ 29 million was given to Peruvian government officials between 2005 and 2014, with a profit recovery of US$ 143 million. This time period comprises Presidents Alejandro Toledo (2001-2006), Alan García (2006-2011) and Ollanta Humala (2011-2016). Alejandro Toledo was accused of receiving US$ 20 million from Odebrecht during his Presidency. All deny these accusations. Proof indicates that Toledo did receive money from the company through a personal retail company he created that was supposedly managed by his mother-in-law. He has been formally accused of money laundering and influence-peddling and has a preventive prison order against him. He is now a fugitive from Peruvian justice in the United States with a national and international capture order against him. Alan Garcia was also called to declare before Peruvian justice on February this year to explain the tender won by Odebrecht to build one of the metro lines in the capital, Lima, that took place under his government. Garcia therefore has also been accused of receiving money from the company, but has not yet been called to declare afterwards. It is thought that he and his political party still have major influence in the justice system in Peru, a predominant reason for him not to be investigated further. In Peru, not only do Presidents seem to be involved in the Odebrecht scandal, but the name of the former first lady, Nadine Heredia, came up during the investigation as well. Heredia was accused of leading and influencing the tender for the Southern Peruvian pipeline, won by Odebrecht. 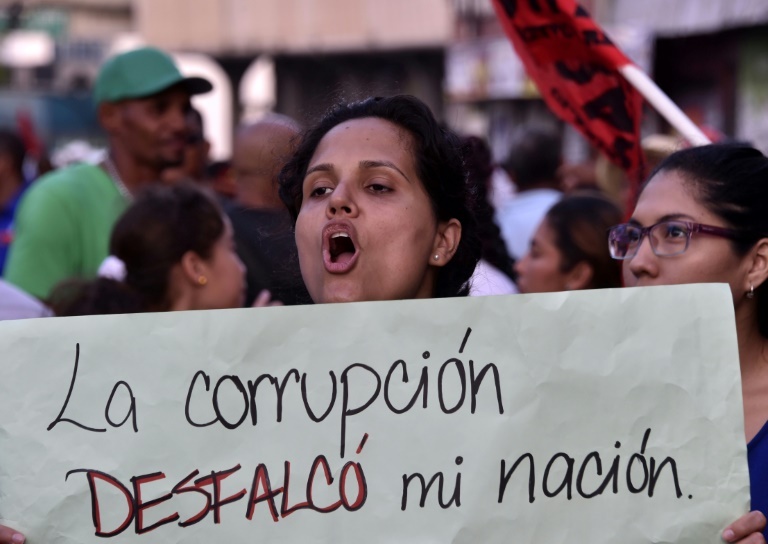 After her denial of this accusation, a former Odebrecht Director claimed to have provided US$ 3 million for her husband’s Presidential Campaign in the 2011 elections. The collected proof lead the Peruvian justice to approve 18 months of preventive prison for both Humala and Heredia, for charges in money laundering, linked to the Odebrecht accusations. The Peruvian Government has cancelled the pipeline contract, accounting for US$ 7,000 million – the highest infrastructure investment in the country. And so the list goes on listing more and more politicians and government officials linked to Odebrecht. Colombian President Juan Manuel Santos and Panama’s President Juan Carlos Varela are also leaders that are being investigated because of Odebrecht’s donations to their campaigns. If Odebrecht’s accusations are true, Latin American Presidents have all been attracted to the single thing they said to despise when they started: money. They have been damaging the only thing they said they cared about: their country. Latin America is in desperate need of a form of government that reduces the persistent inequality, that not only boosts investment, but manages public spending the right way to accomplish what’s previously mentioned. And for a while there, it felt like left-ish movements were the answer at least for the less benefited people. It has also been for a while now the sort of thing that these same people despise: lies, false promises and more self-interest and politics than ever before.